is an online music and media publishing company specializing in the production and distribution of podcasts, videos, digital music, and ebooks. The hit video series that proves laughter is the best medicine for your everyday complaints! The podcast that shows you how some of the coolest new product ideas were brought to life. The podcast that answers all of your questions about product and business strategy. The podcast that serves up true stories about truly bad customer service. Tired of having SO many things to complain about? 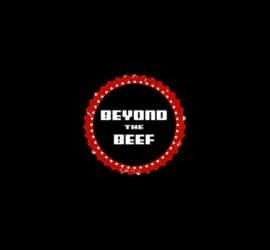 Subscribe to our hit video series and let hosts Bob and James help you move Beyond The Beef! Do you have a question about product or business strategy? Listen to the podcast that answers real questions, from real people, in real companies - just like yours. Join us on our latest podcast where we share stories of bad customer service, and teach companies how they can avoid that fate by simply Switching The Lens!